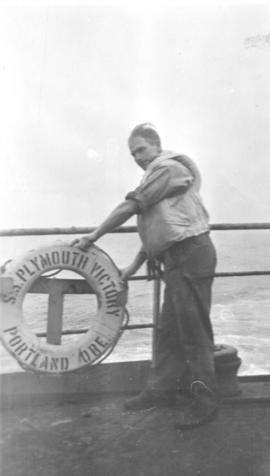 The Plymouth Victory was used in 1947 to transport horses to Greece to replenish livestock depleted by the Second World War. 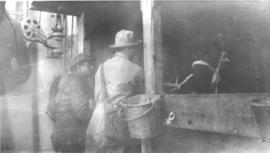 Volunteer livestock attendants, called seagoing cowboys, accompanied the animals on ship. 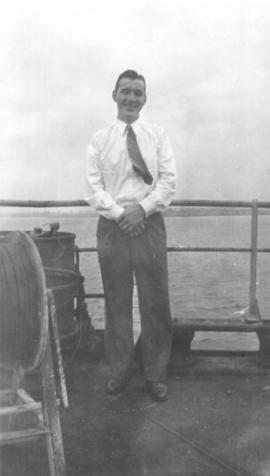 Miller was one of the volunteer livestock attendants, commonly called seagoing cowboys, that tended the horses on board the SS Plymouth Victory. 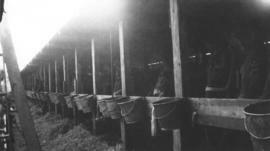 The horses were bound for Greece to replenish livestock depleted after the Second World War. The horses are bound for Greece to replenish livestock depleted after the Second World War. 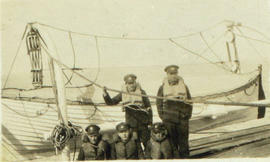 Volunteer livestock attendants, called seagoing cowboys, tended them. 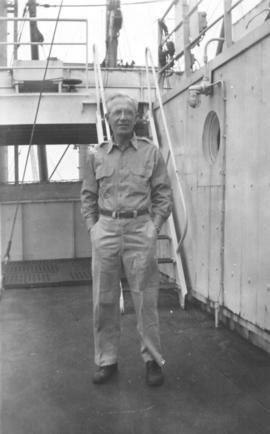 Livestock attendants, commonly called seagoing cowboys, tend horses on board the ship. The horses are bound for Greece to replenish livestock depleted after the Second World War. 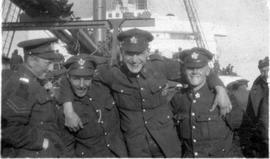 Soldiers returning home in May 1919 aboard the "Caronia"
Soldiers returning home in May 1919 aboard the "Caronia." 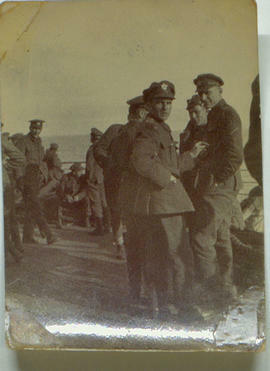 Caption on back reads: "Coming home, May 1919, M.S.S. 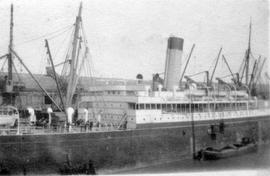 Coronia. Left: Cyall Money, Tall Cassalman. Row bottom, short center, maybe 'Emil LeCarre.'"